It’s that time again – time to prepare for the 2016/17 Off-Highway Vehicle (OHV) Grants and Cooperative Agreements Program (Grants Program) grant cycle. Workshops for the upcoming grant cycle are scheduled for the week of January 09, 2017. The two-day workshop, one held in Southern California and one held in Northern California, will be two full-day sessions. Please see the attached agenda for information on the workshops. Applicants may attend one or both days of the OHV Grants Program workshop. 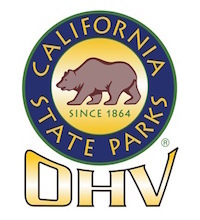 Although attendance is not required to participate in the OHV Grants Program, the OHMVR Division highly encourages applicants to attend, as the workshops provide valuable information. Note: See attached schedule for agenda information. Individuals attending the first day of the workshop should bring a laptop as the session will include “hands-on” instructions for navigating OLGA. OHMVR Division staff does not make hotel reservations for workshop attendees. Please contact the hotel directly if you would like hotel accommodations. Please submit your RSVP by close of business Wednesday, January 4, 2017.